I am holding this house open today! 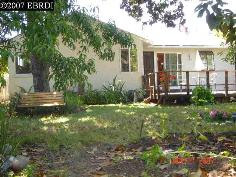 This home offers 3 bedrooms, 1 remodeled bath and is located in a very quiet neighborhood. The lovely kitchen leads out to the dining area which then spills out to the backyard oasis! A Gorgeous garden, waterfall/pond and mature fruit trees awaits you.